I'm embarrassed to say that I dragged my feet about this book. But I wanted to read some classic scifi and try to catch up on all the good stuff I'd missed out on. I was IMMEDIATELY gripped by this story. Though it was written in the 1950's, that just washes away, becomes trivial. The story is about a man surviving against all odds. Just a factory worker, he struggles with his humanity and becomes a scientist and a scholar--he elevates himself. So many parts of this book held me in thrall, but the section about the dog brought tears to my eyes. Even the science, though rooted in early concepts of bacteriology, still rings as plausible. This was a masterfully written tale and ended perfectly. It is, in my mind, the standard by which zombie and vampire books should be held. Don't even compare the movies--they are just bastardizations of this brilliant work. All my thumbs up. A must-read! Visceral, compelling...this story will stay with you. Just putting up a brief post to mention a few things that are going on right now. 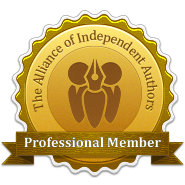 I was interviewed by The Freelancer about Kindle Unlimited/Kindle Owner's Lending Library and Kindle Direct Publishing Select. I'm mentioned briefly in that article. My hometown newspaper did an article about me. That made my parents proud and was kind of fun. I was interviewed by the author podcast Architect's Apprentice last week. We talked about the conception and writing of Fluency as well as upcoming projects, writing groups, process and much, much more. Take a listen! Also very exciting this week was having a screenwriter contact me asking about the film rights to Fluency. I've no idea yet what that means beyond the fact that it's time to get an entertainment lawyer and an agent. I'm just trying to keep my head down and keep writing.